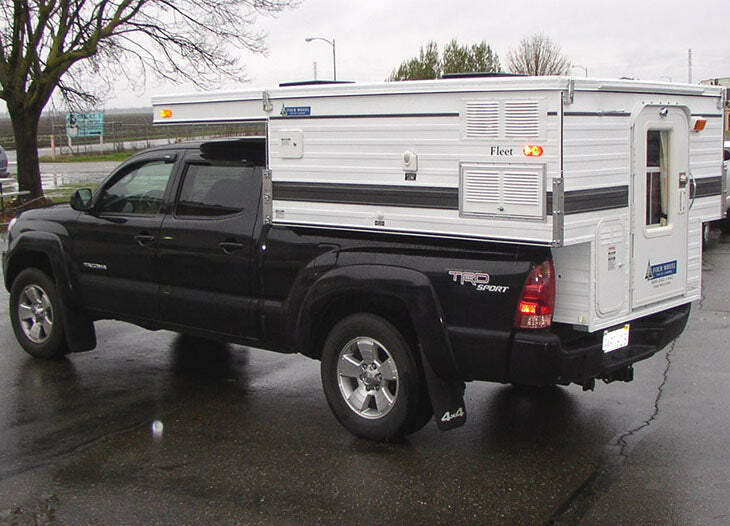 The Four Wheel Campers Fleet model is the best selling mid-size pop-up truck camper in the product line. 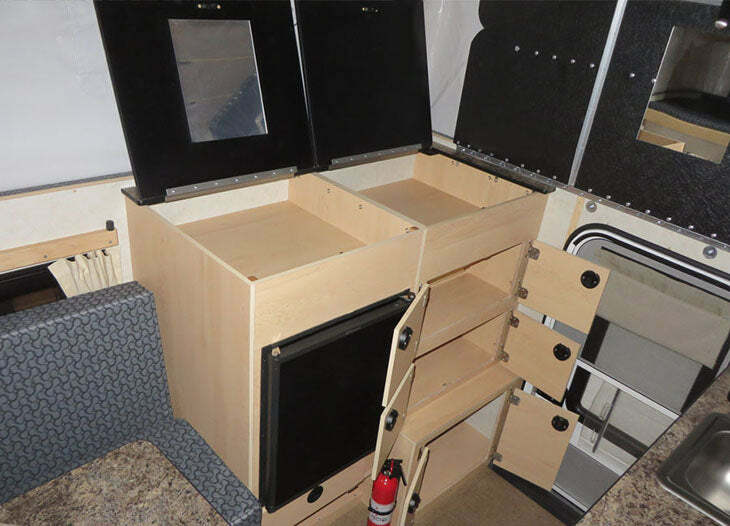 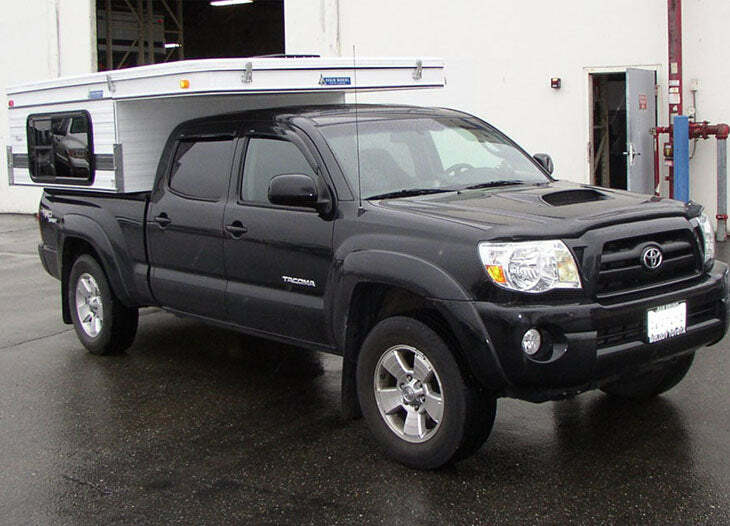 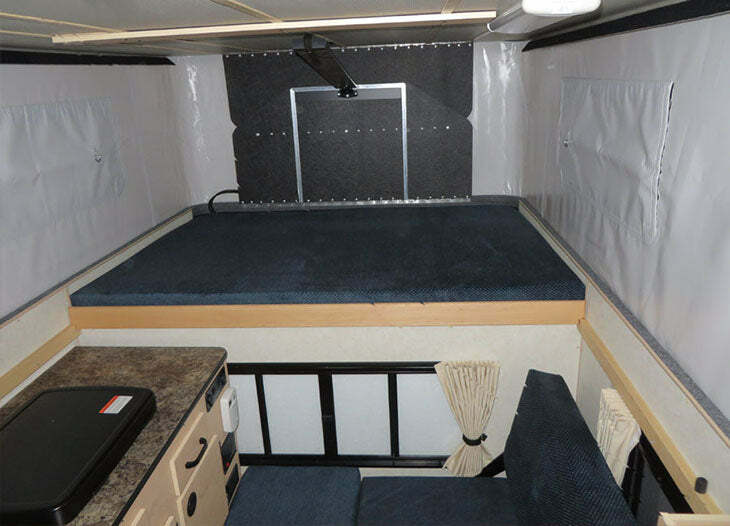 An extremely popular truck camper that is built to fit on 6’ bed mid-size trucks such as the Toyota Tacoma. 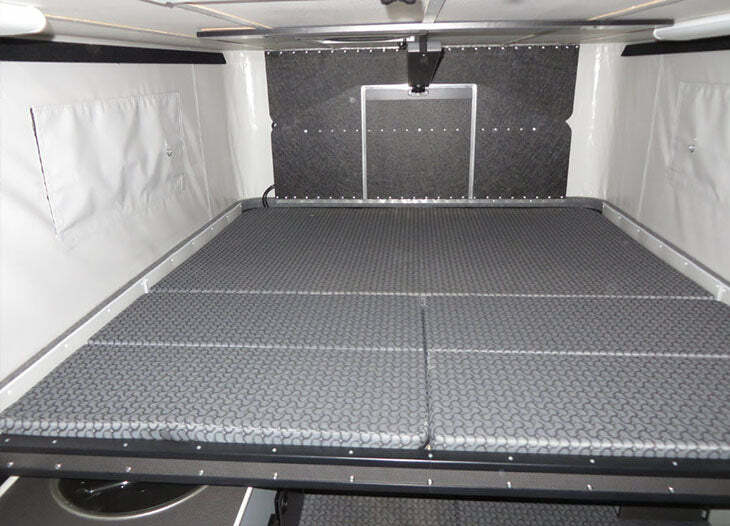 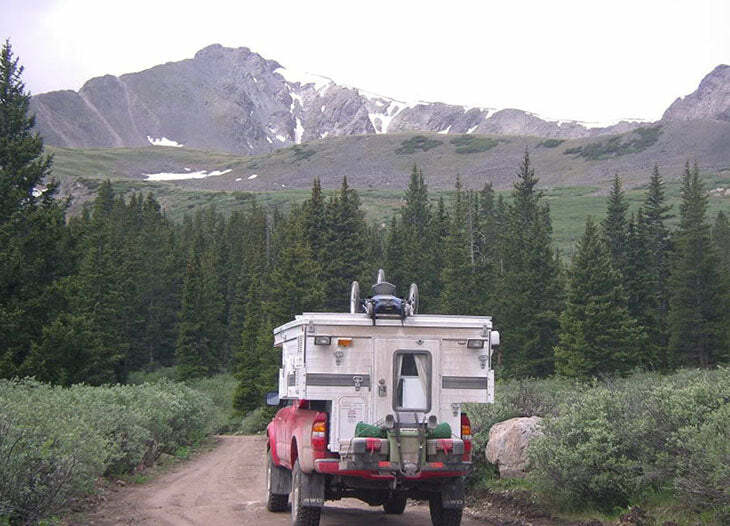 Following the key design principles of Four Wheel Campers, the Fleet is a light weight, simple and durable truck camper. 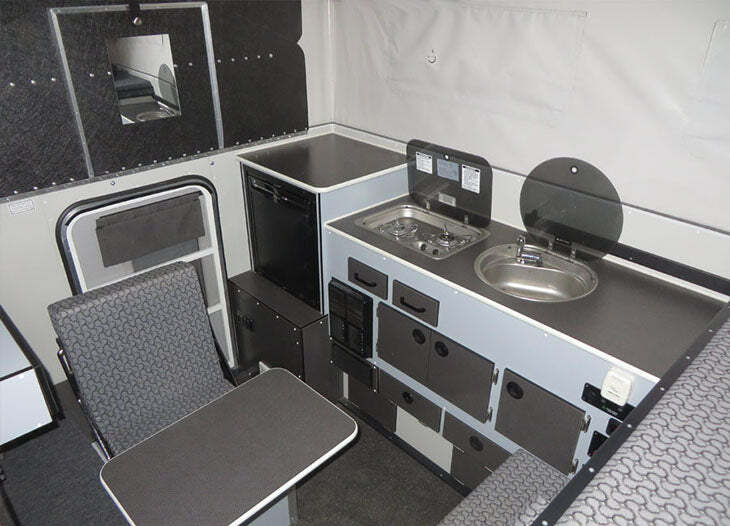 The Fleet model is available as a shell or a camper model. 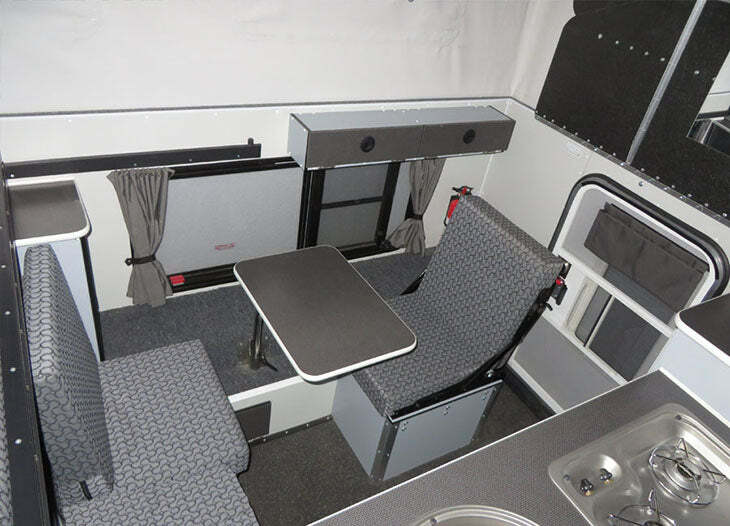 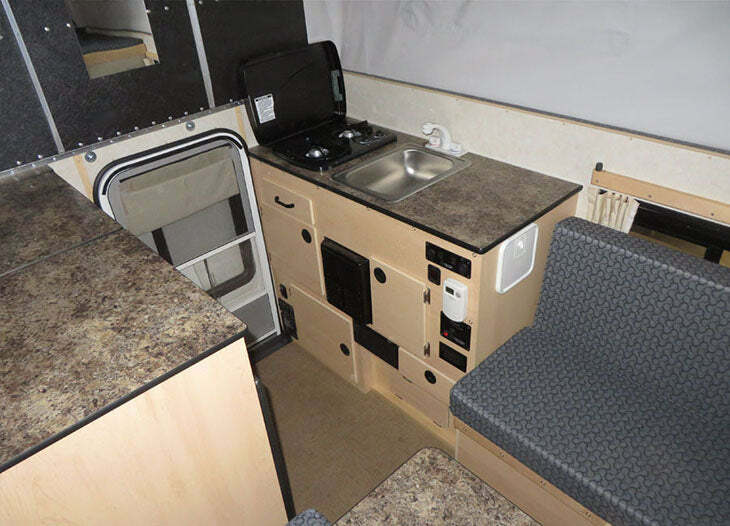 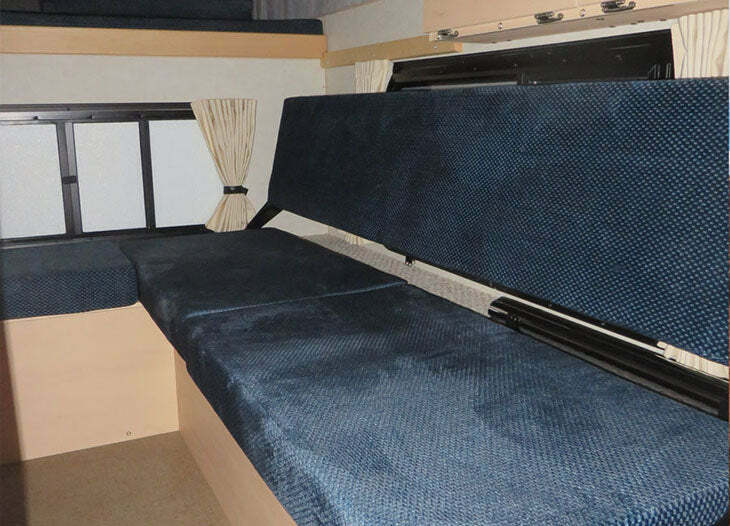 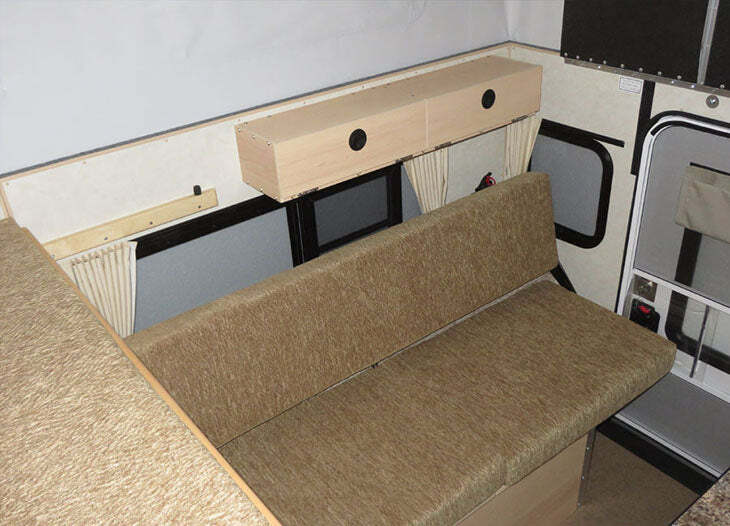 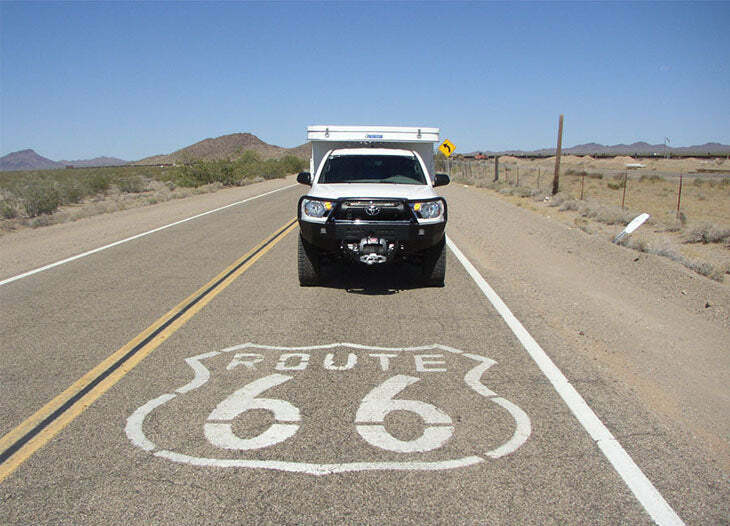 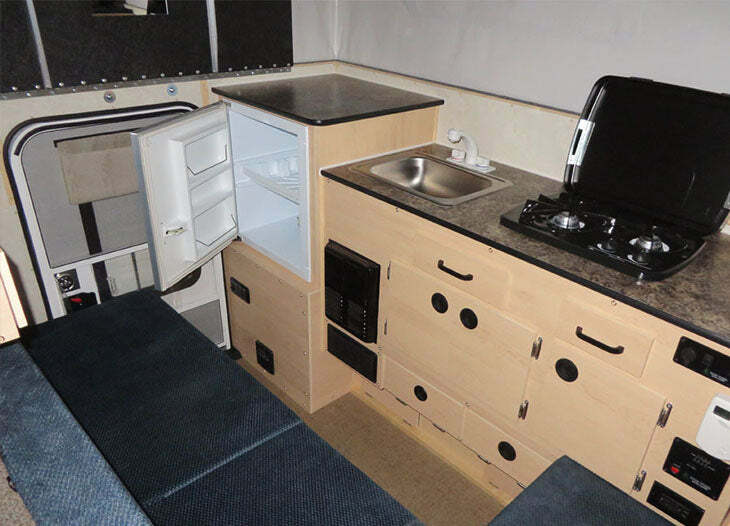 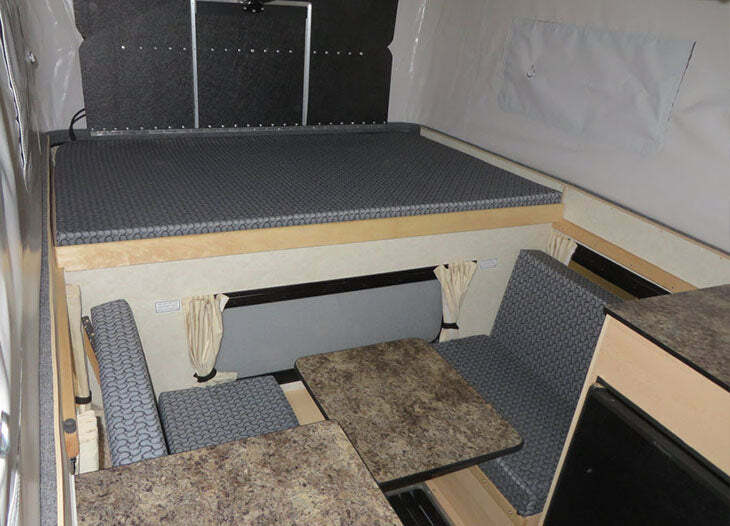 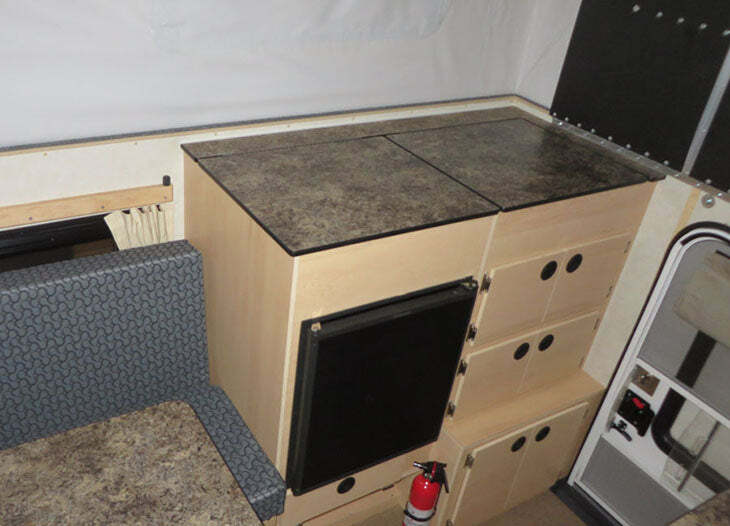 As a camper, the Fleet can be purchased in one of three separate floor plans, the Rollover Couch, Side Dinette or Front Dinette layouts. 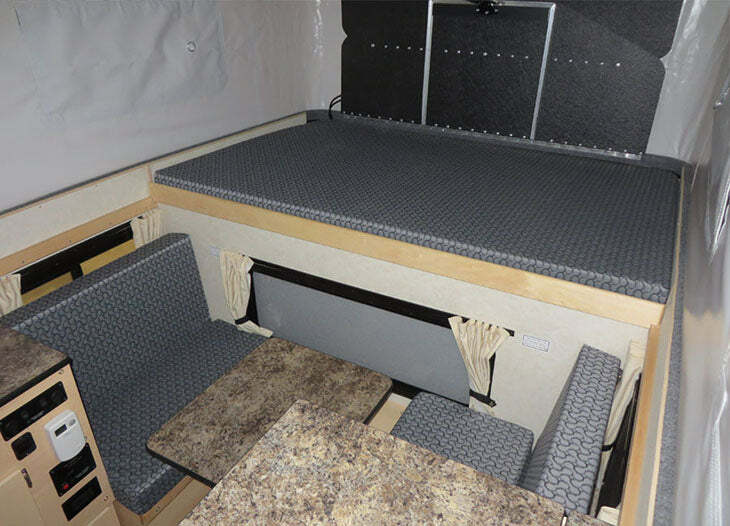 The Fleet model offers an amazing amount of space in the interior of the camper, making it hard to believe that it sits on a mid-size truck. 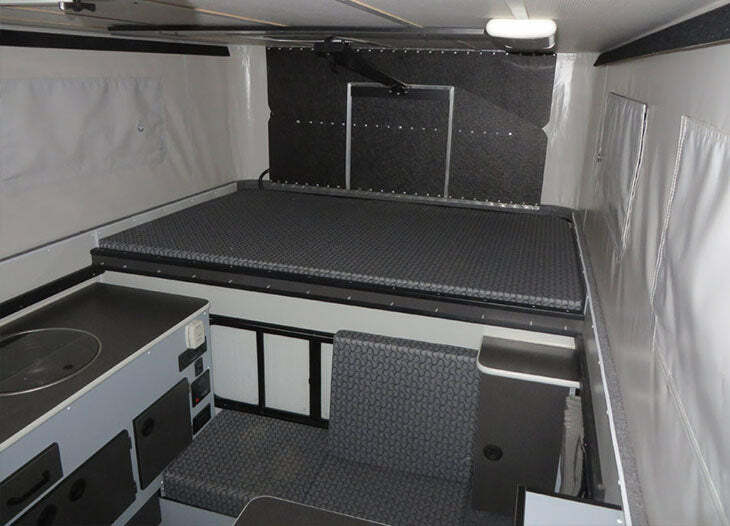 With a large variety of options, the Fleet can be built to suit the unique needs of any customer. 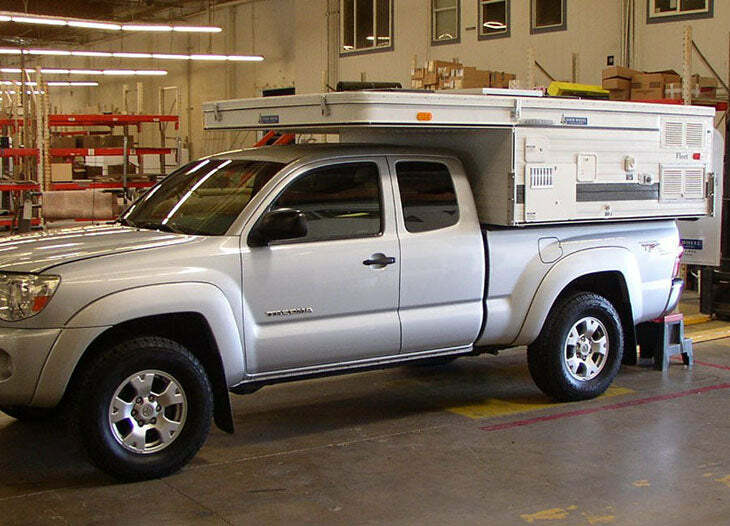 Lightweight – Base model weighs only 845 lbs. 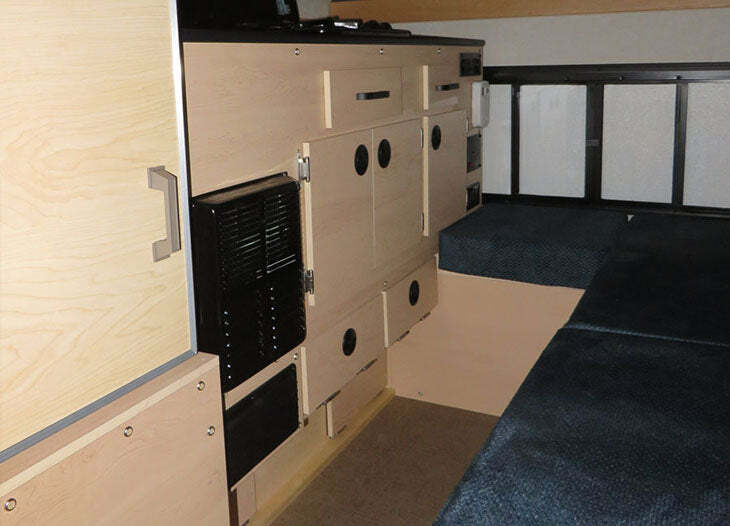 Low Profile – Thickness of the cab-over is only 8 inches in the down position. 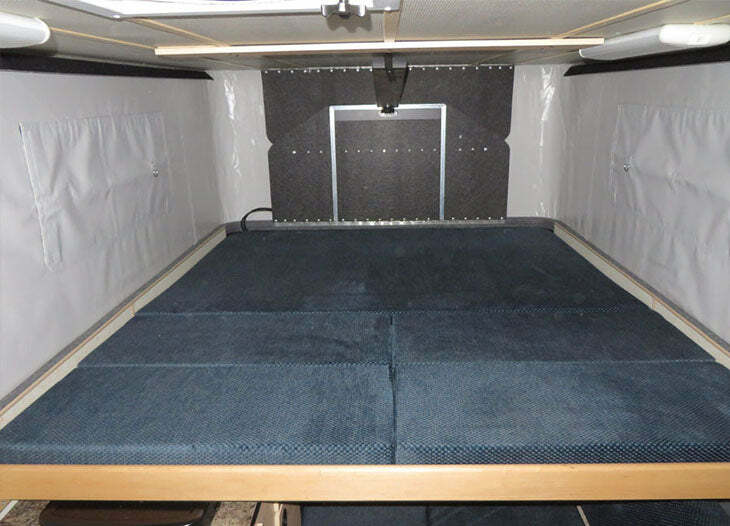 6 ft 4 inches of interior headroom when popped up.